Garlic Sesame Chicken Stir Fry is an easy meal that’s on the table in 30 minutes or less! It boasts an authentic Chinese stir-fry flavor and is packed with veggies. 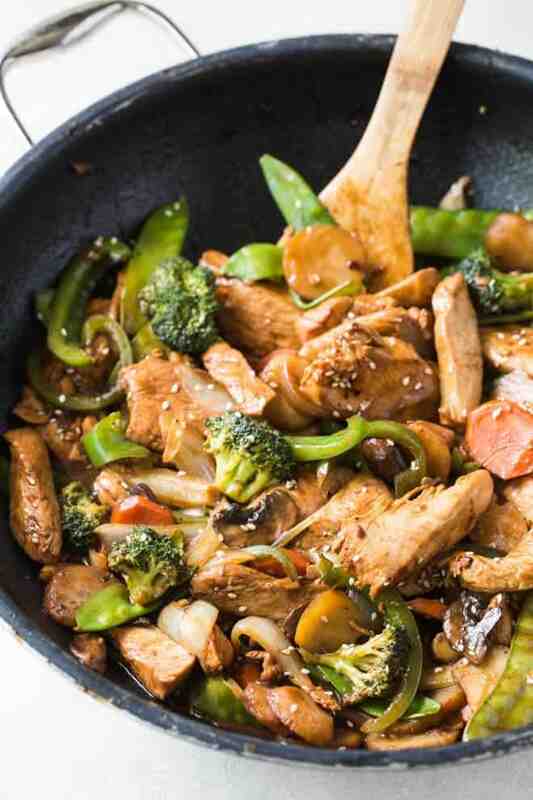 Skip take out to make this healthier stir fry at home. Around this busy time of year, I’m always looking for easy meals that don’t require a ton of prep time and require little clean up. 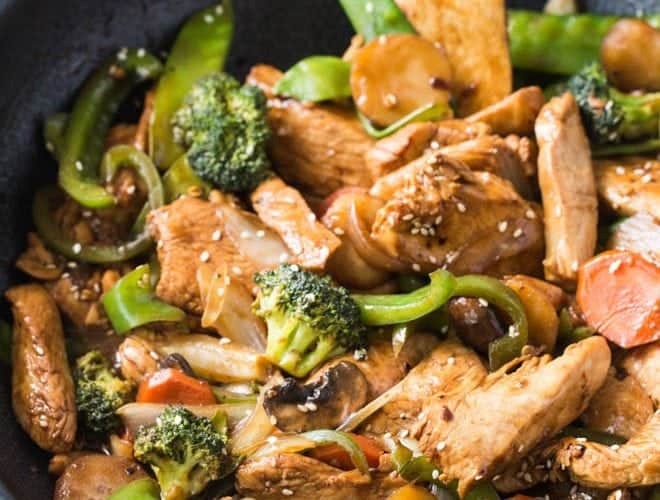 This Garlic Sesame Chicken Stir Fry is a quick and easy recipe that is on repeat in our house during this busy season! This dish cooks everything in one pot which makes for simple clean up. 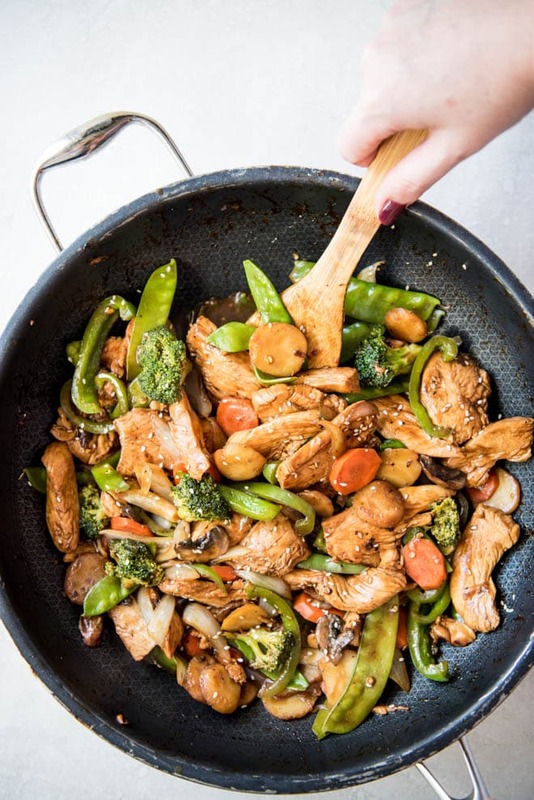 Skip takeout and make this healthier chicken stir fry at home with ingredients you probably already have in your pantry. 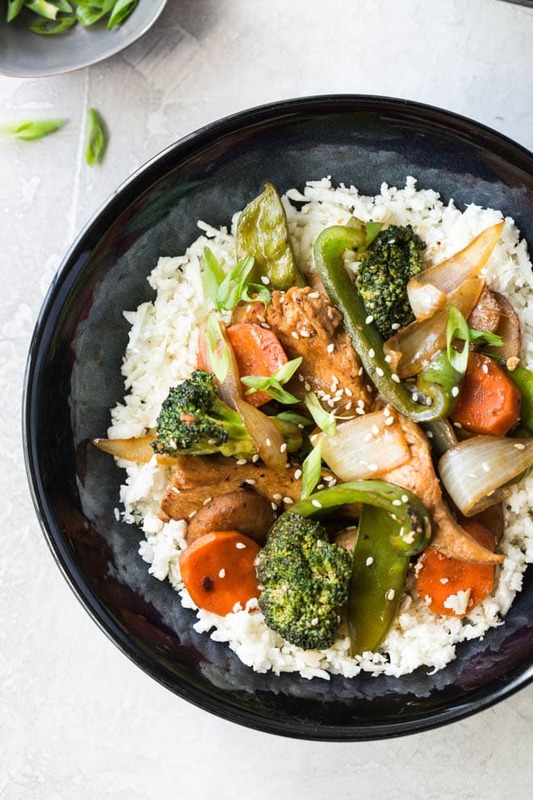 Sometimes when schedules are busier this time of year, it’s tempting to get delivery or pick up your favorite stir fry or fried rice from your favorite local Chinese restaurant. With this dish, you can avoid the takeout and substitute it with this homemade recipe that is much healthier for you. It’s lower in sodium and packed with your favorite vegetables and stir fry flavor. 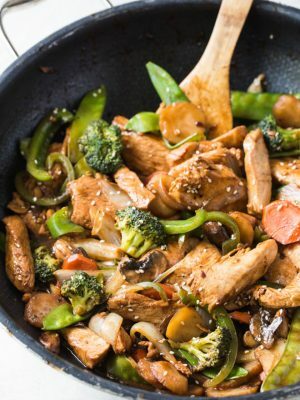 Garlic Sesame Chicken Stir Fry is simple to make and is filled with lots of veggies to make it a true one-pot meal. By now, I’m sure you know how much I love one pot meals. This recipe takes the cake with minimal prep work and cook time. 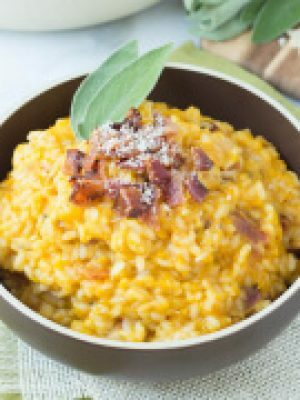 A hearty and delicious meal for the entire family comes together in less than 30 minutes! 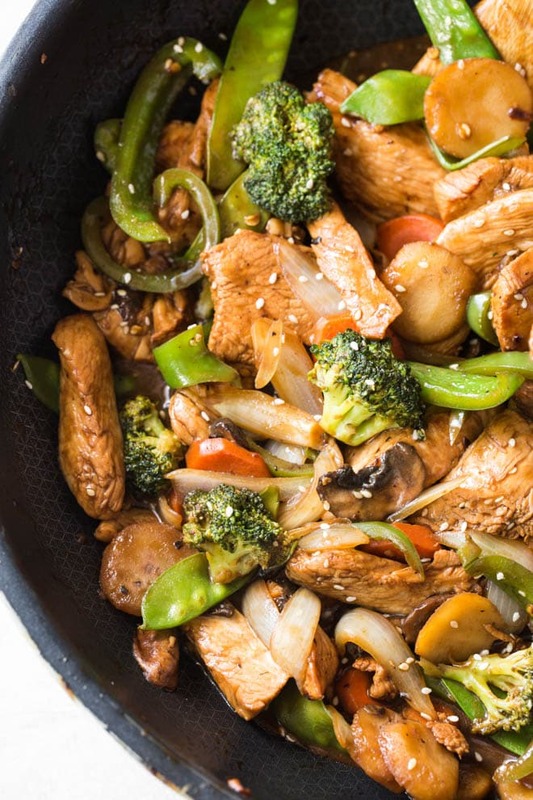 To make the garlic sesame chicken stir fry heat sesame oil in a large skillet over medium high heat. Cook and stir in the carrots, onion, broccoli, mushrooms, bell pepper, snow peas and water chestnuts until tender. remove the vegetables from the skillet and keep warm. Cook the chicken about 2 minutes on each side. Return vegetables back to the skillet, bring to a boil and cook until chicken is no longer pink and vegetables are tender. It’s that easy! Serve it with cauliflower rice or whole grain rice. 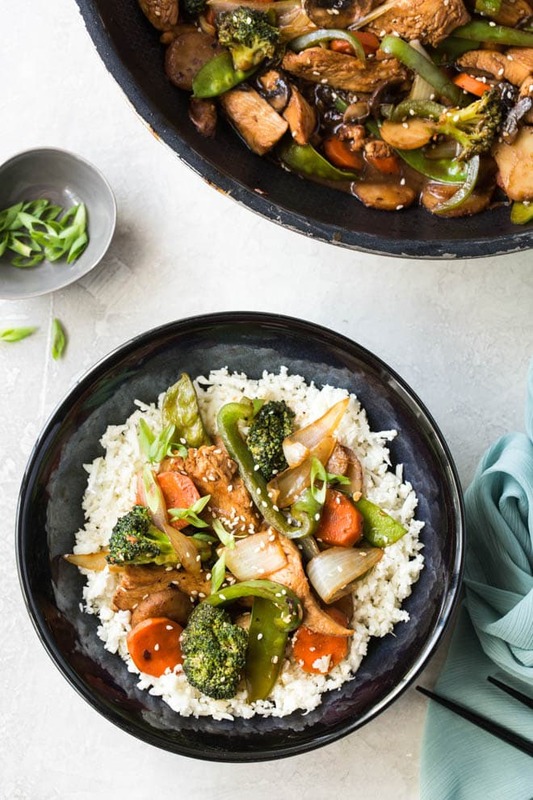 Swap this dish for your next Chinese take-out night for a healthy option that the whole family will love! 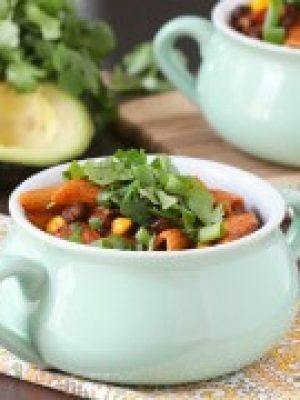 If you are looking for more one pot meals, try some of my favorite recipes! Heat 1 tablespoon sesame oil in a large skillet over medium-high heat. Cook and stir carrots, onion, broccoli, mushrooms, bell pepper, snow peas, and water chestnuts until just tender, about 5 minutes. 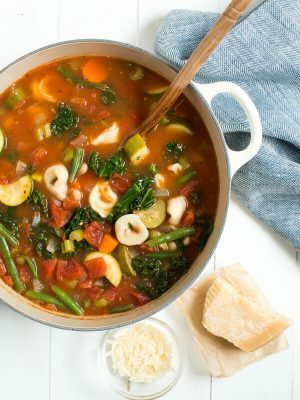 Remove vegetables from skillet and keep warm. Remove chicken from marinade, reserving liquid. Heat 1 tablespoon sesame oil in skillet over medium-high heat. Cook and stir chicken until slightly pink on the inside, about 2 minutes per side. Return vegetables and reserved marinade to skillet. Bring to a boil; cook and stir until chicken is no longer pink in the middle and vegetables are tender, 5 to 7 minutes. Remove from heat and stir in sesame seeds. Serve over cauliflower rice and garnish with scallions.